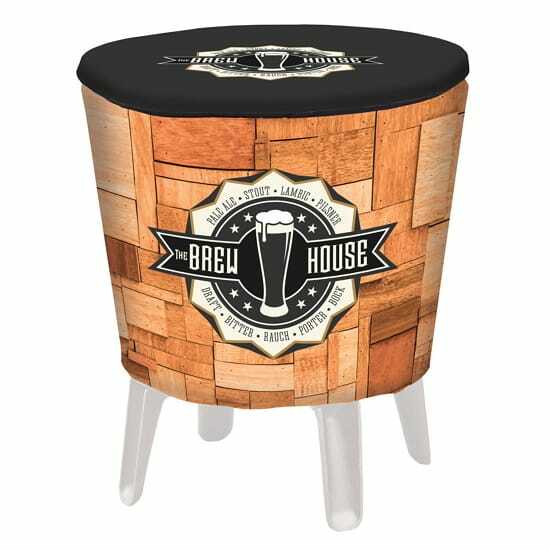 We have a selection of Event & Trade Show Furniture to fit any situation. 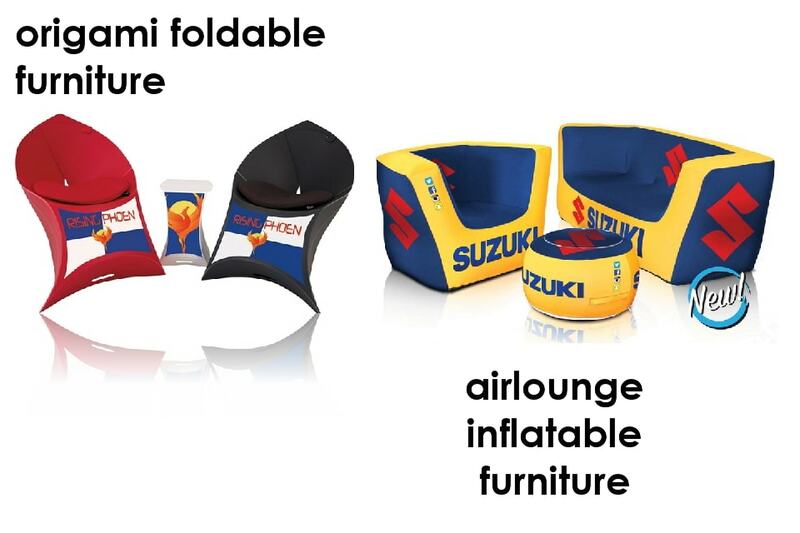 From our line of AirLounge Inflatable Furniture, which is made of the strongest material composition in the market, light weight and completely portable and sets up in only 3 minutes. 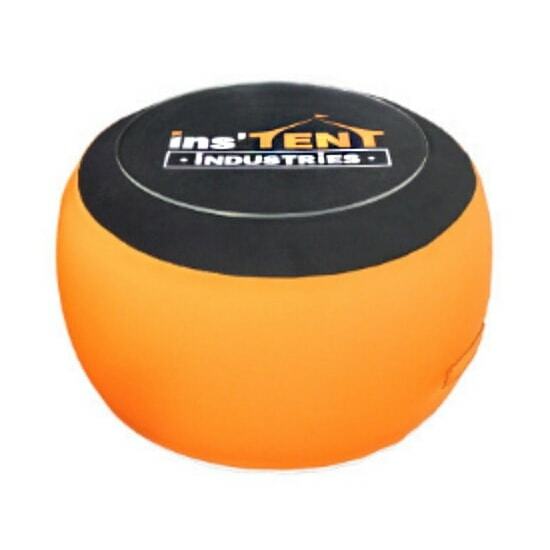 With the water retardant Neoprene slip cover, it can be used in multiple terrains and weather conditions. 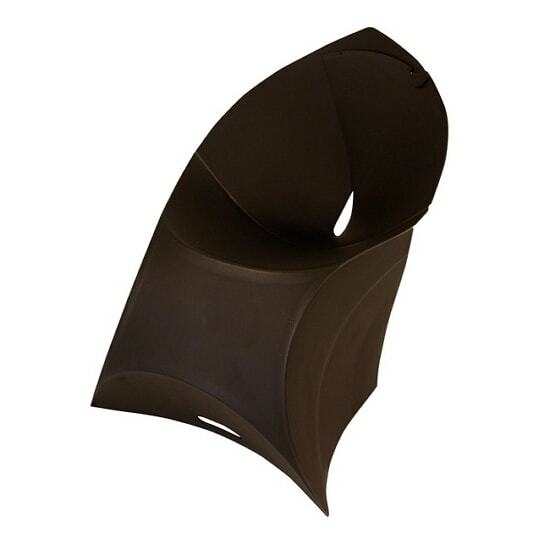 Or want to go a simpler and easier to set up, try our Origami Chairs and Tables. 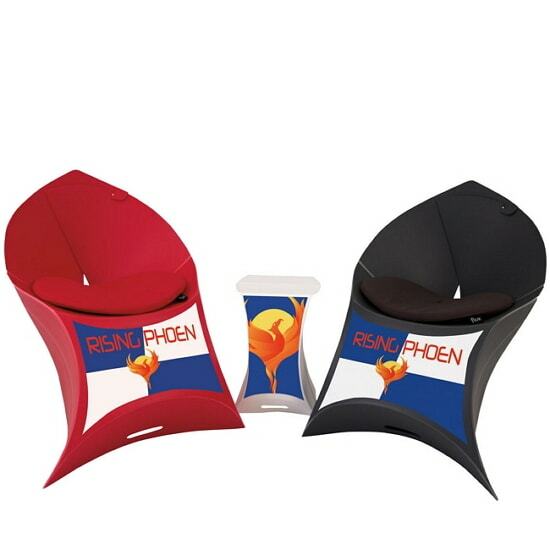 In less than 10 seconds, it goes from a single, flat envelope to a piece of eye-catching furniture. 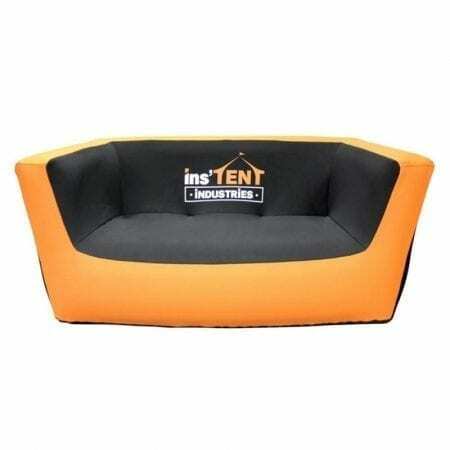 They are made of water proof and UV resistant Polypropylene so it can be used either indoors or outdoors. 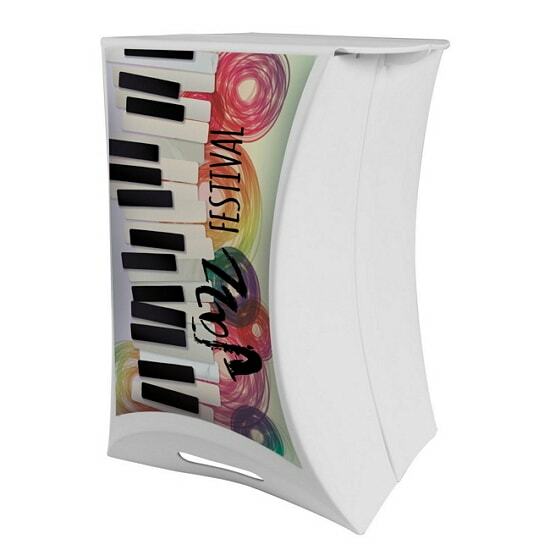 Keep customers or visitors to your trade show booth or outdoor event refreshed and coming back for more with our indoor and outdoor Outdoor Event Coolers! 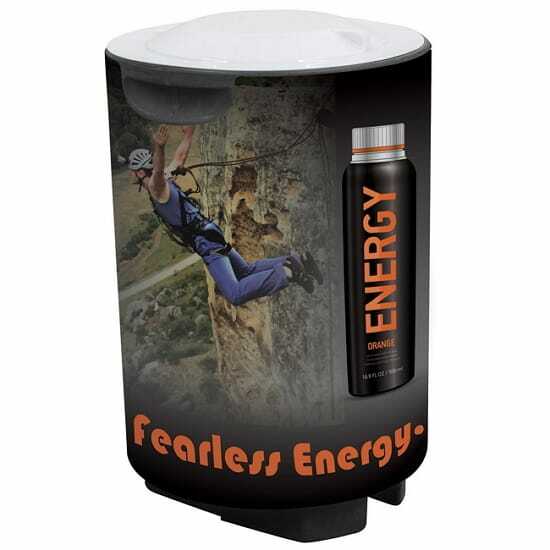 These sturdy coolers, custom printed with your brand or message, are a great addition to your booth or tent. 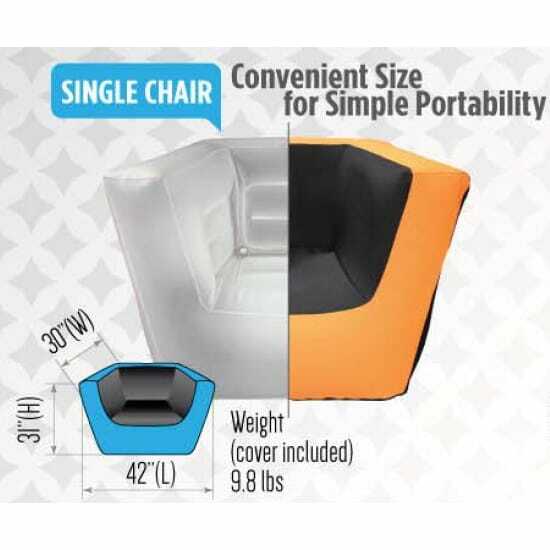 They can keep 40 lbs of ice cool and qty(48) 12 oz. 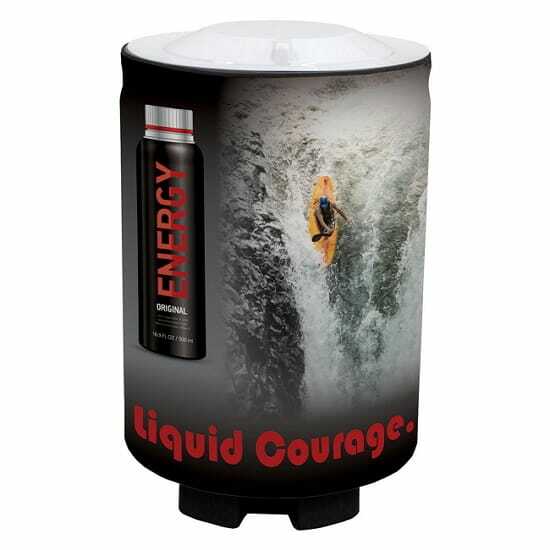 cans, making them indispensable for long events, and are sturdy enough for frequent use. 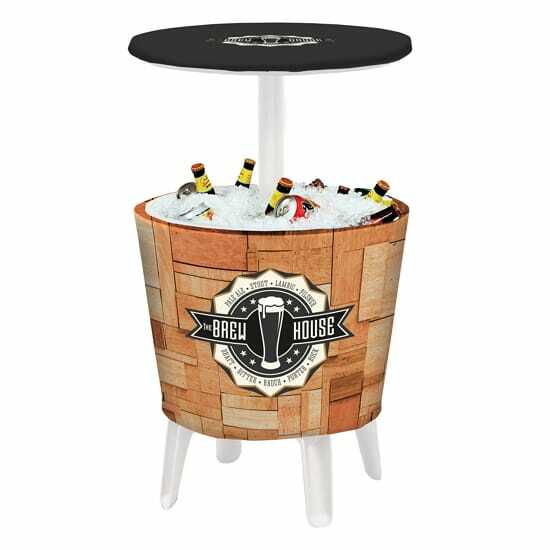 Or choose our Outdoor Event Cooler Table, end table, bar table and cooler all-in-one for outdoor or indoor use. 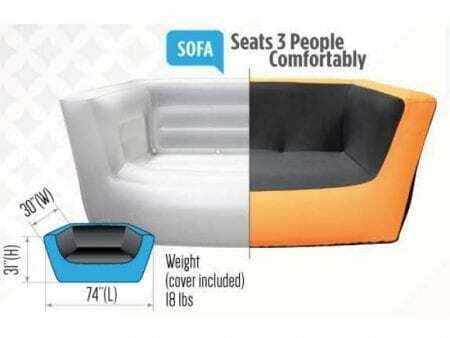 The double-walled design keeps drinks cool and can hold 20 lbs. of ice and (30) 20 oz. cans. 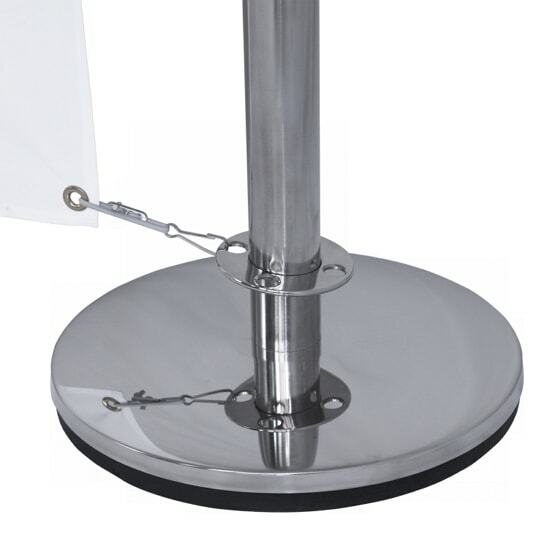 And with its intelligent telescoping design, the table easily opens in one swift movement. 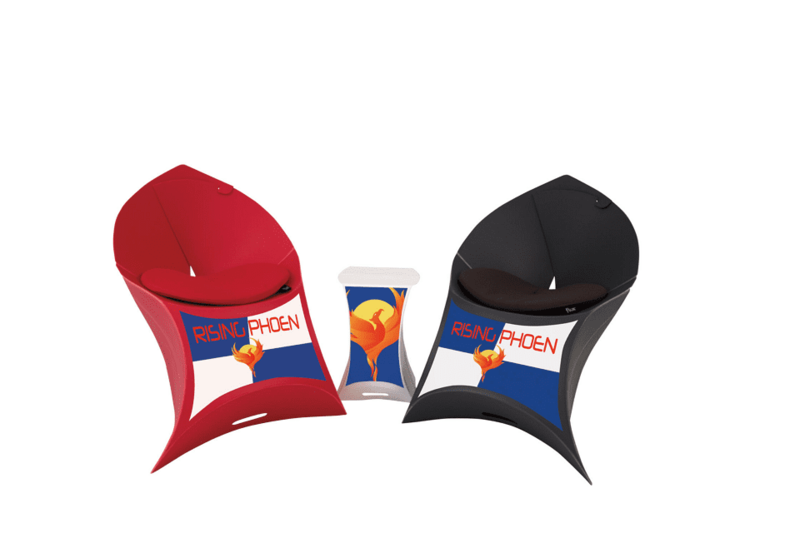 Our new Cafe Barriers identify public areas, provide comfortable surroundings and brand your company’s advertising message! 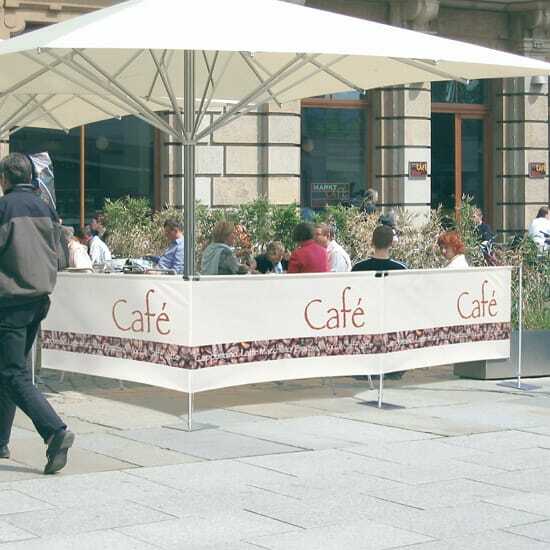 Ideal for indoors and outdoors, with many bases available, Cafe Barriers are great for a variety of environments such as cafés, restaurant terraces, sporting events, or exhibitions. 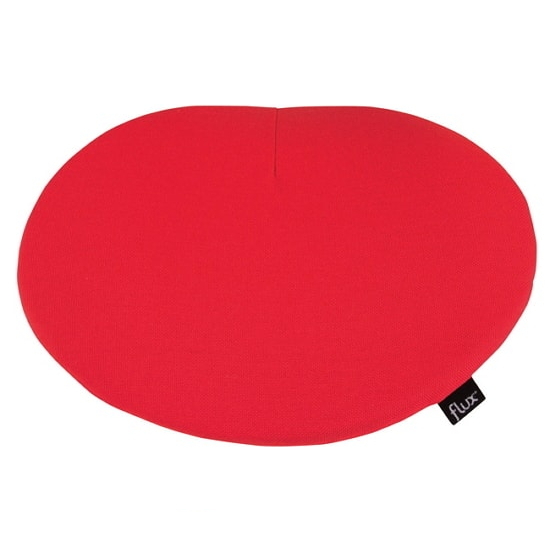 Use them as the perimeter of a designated seating area or as a directional guide. 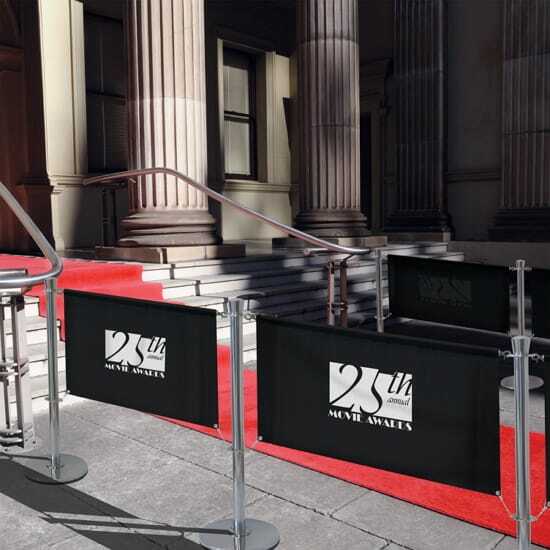 Enhanced with a custom printed banner, Cafe Barriers are not only functional and stylish but also useful in supporting your advertising campaign. 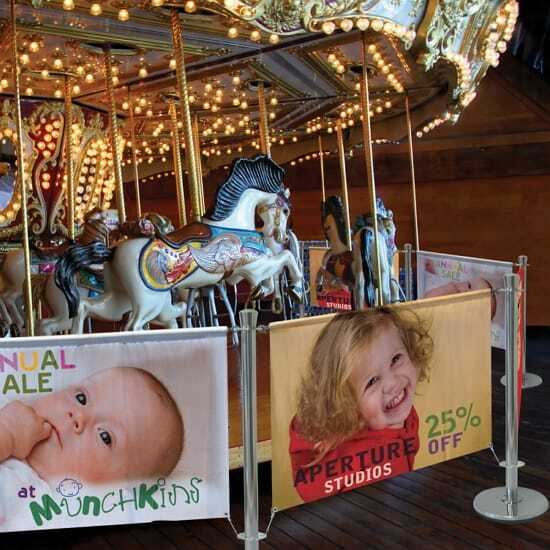 Each system has advantages to provide a different look to a campaign. 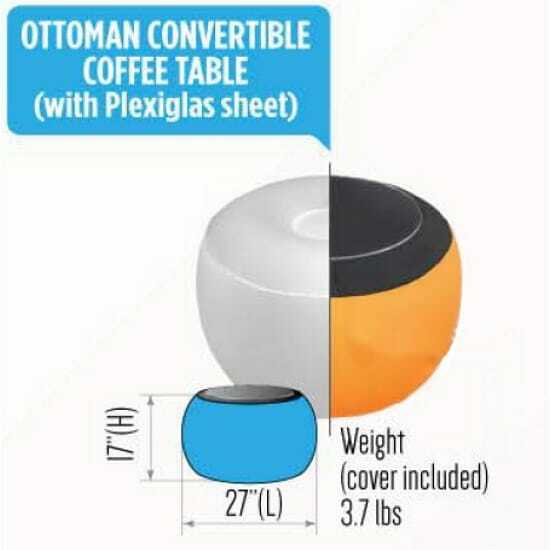 We offer two frame options to fit any size budget. 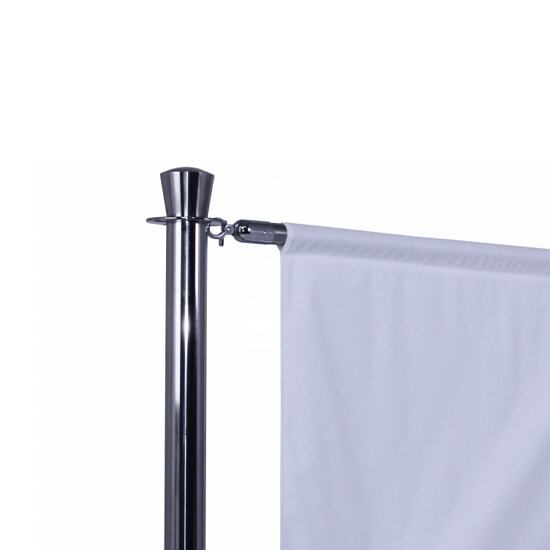 Both provide several display styles to create a straight, corner, or square barrier. 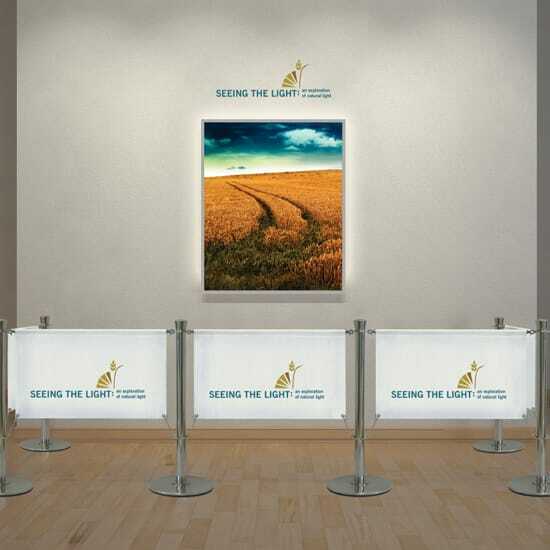 Achieve a functional barrier to identify public areas or designate seating areas all while branding a company’s advertising message. 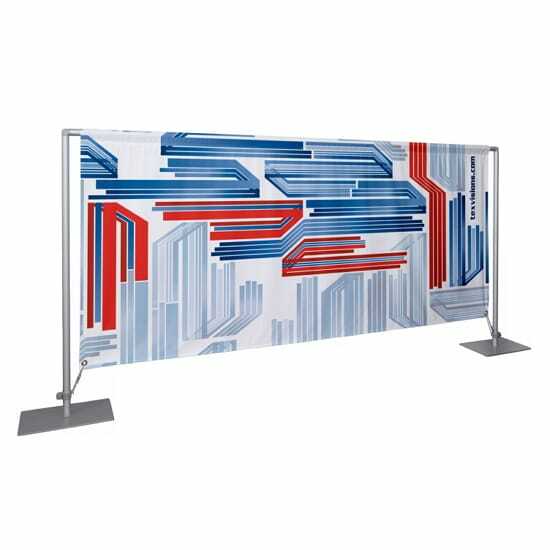 By ordering one print to fit both barrier systems, you can change the look of your system to complement your current advertising event. 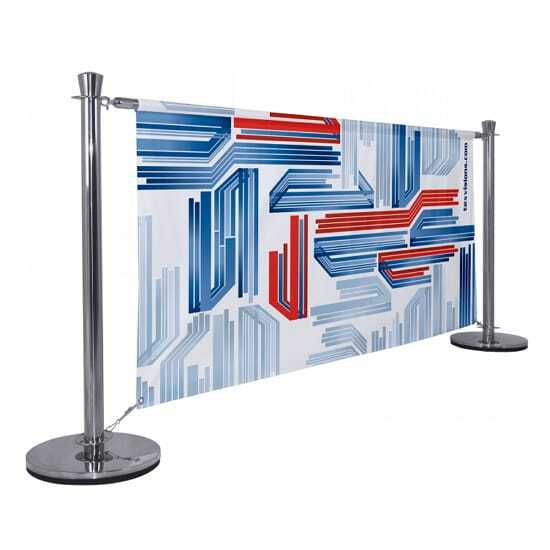 Barrier System 100 generates an area for advertising space, making it a great alternative to using the traditional stanchion and rope system. 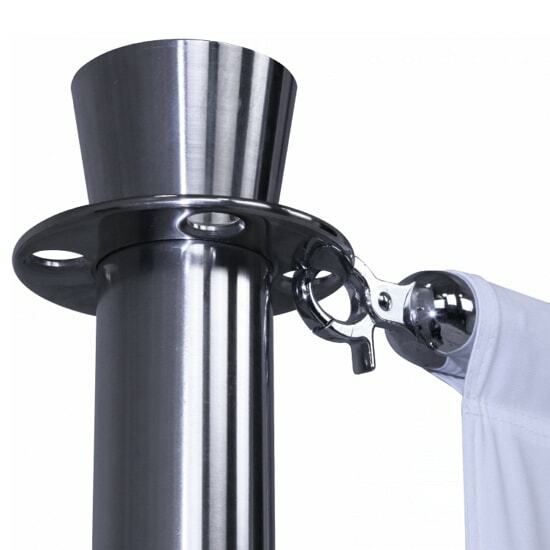 The chrome stanchion is sturdy and weighted to minimize movement. 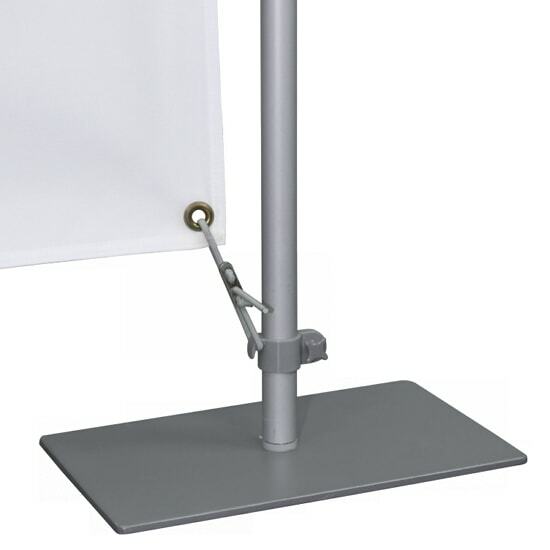 Prints slide on the horizontal pole easily and mounting is simple! 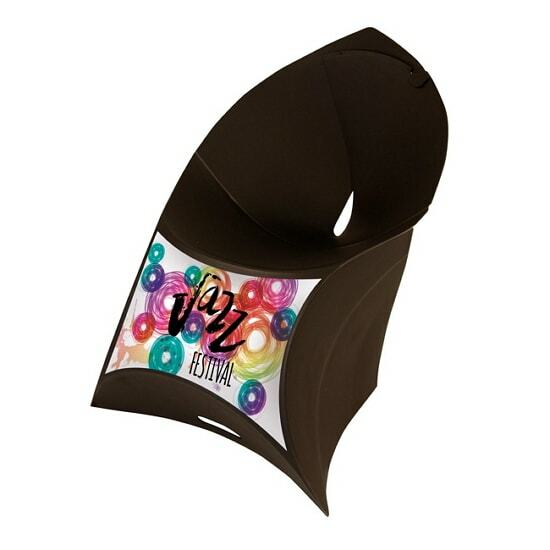 All prints are finished with pole sleeve across the top to accommodate the horizontal pole. 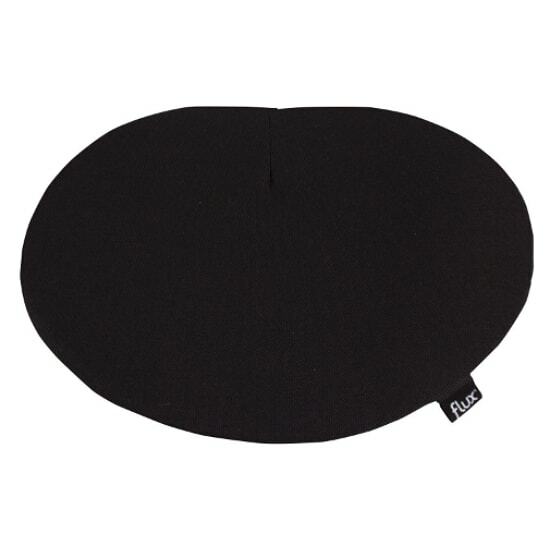 Standard finishing for the bottom is grommeted corners secured with bungee cord, tensioner, and spring snap hook. 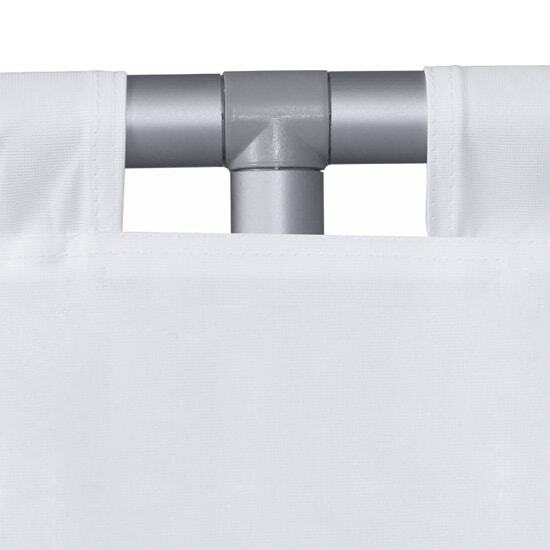 Alternate finishing consists of a second pole sleeve to hold a horizontal pole at the bottom of the print. 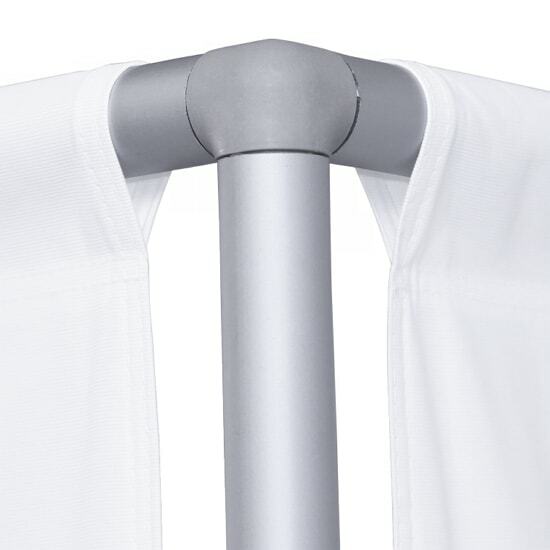 The connector plate helps keep the print taut, or can be used to mount the second pole for alternate finishing. 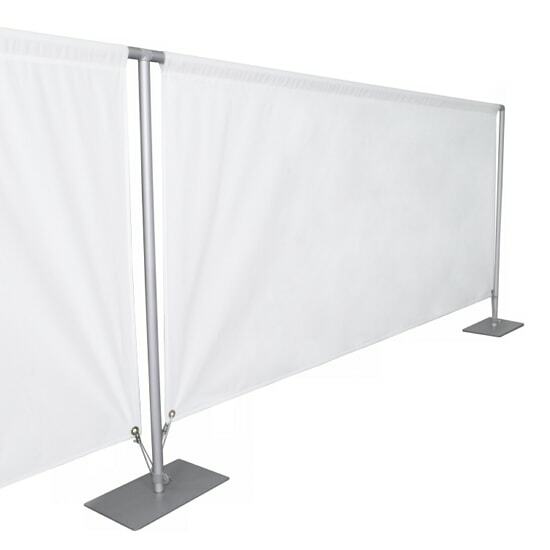 Use multiple panel sizes to create a custom barrier system. 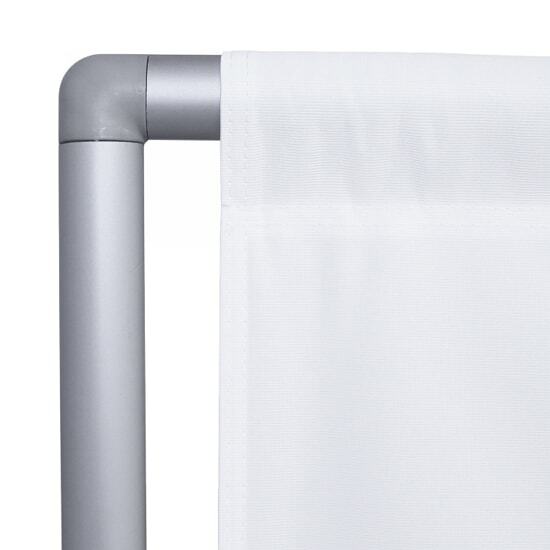 Barrier System 200 is an economical choice when a simple barrier system is needed. 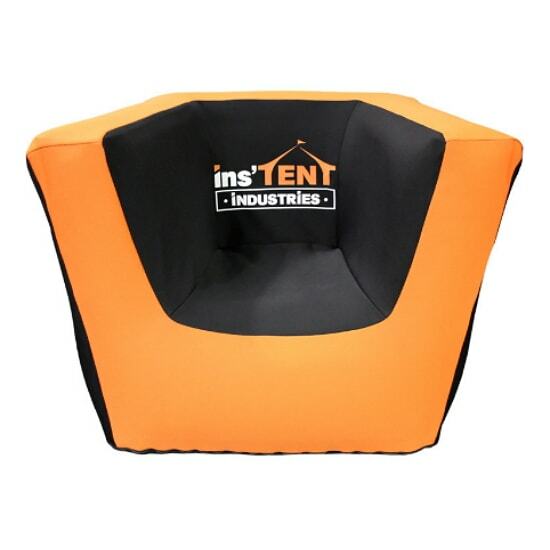 It is lightweight, available in multiple sizes, and has several base options to offer the best solution for indoor and outdoor campaigns. 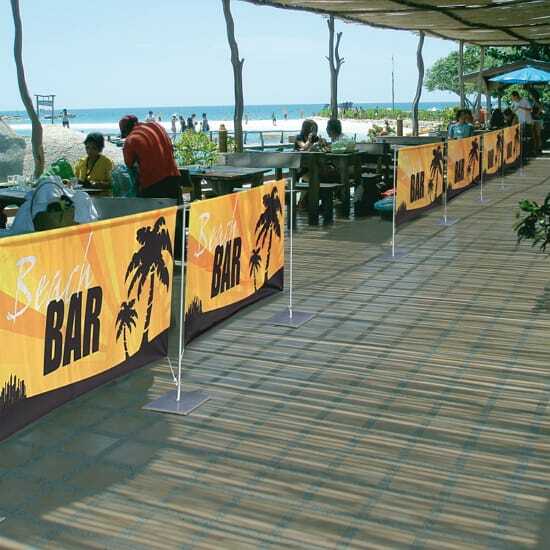 The frame panels of the Barrier System 200 are made from straight aluminum poles. 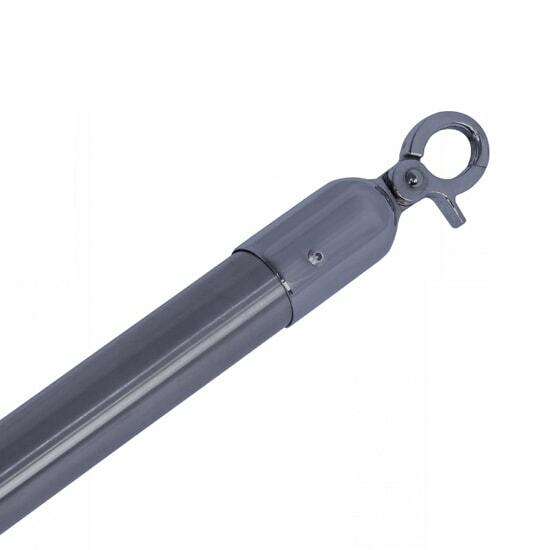 With the use of hard plastic connectors, Barrier System 200 can be created into the desired style: straight, corner or square. 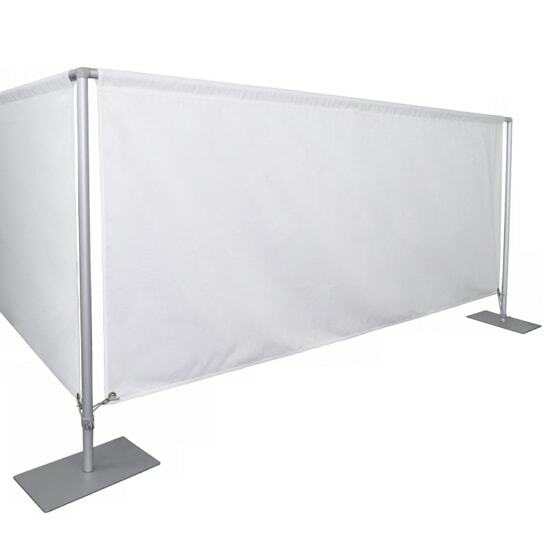 There are a total of 9 standard frame sizes to choose from when creating your Barrier System, with custom sizes available upon request.